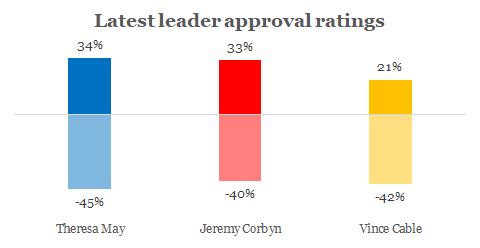 The Conservatives have taken a small lead over Labour, reversing the situation seen before Christmas. 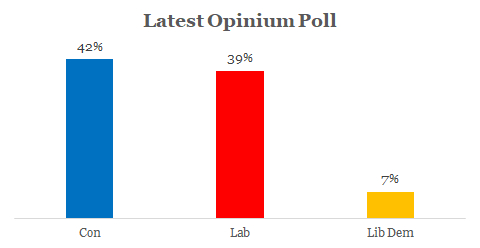 The Conservatives are up to 42% while Labour drop a point to 39%. Mrs May has also maintained her lead over Mr Corbyn on who would make the best prime minister, at 34% to the Labour leader’s 28% with 28% for “don’t know”. By overwhelming margins, voters think the NHS is underfunded (77% vs. 7% saying it is overfunded and 9% saying funding is about right). When asked which service they would most want to increase funding for, the NHS is again the main beneficiary, 80% to 7% for schools. When asked which party they most trust to manage the NHS, Labour has a 14 point lead (39% to 25%), slightly lower than their lead on health / NHS above among those who most care about the issue.